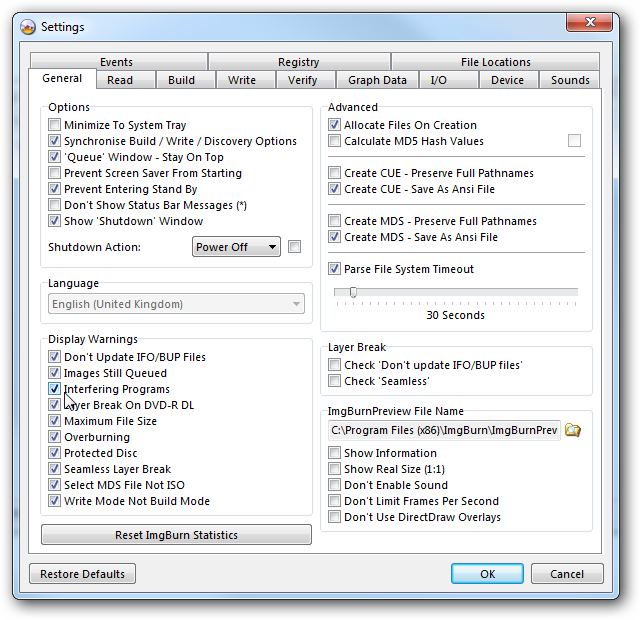 Windows 7 has a lot of extra features for handling your optical media like DVD Movie Maker and ISO Burner. However if you need something with a lot more power and options today we take a look at the free and well known burning utility ImgBurn. During installation you are offered the ability to automatically check for new versions which is always a handy feature. 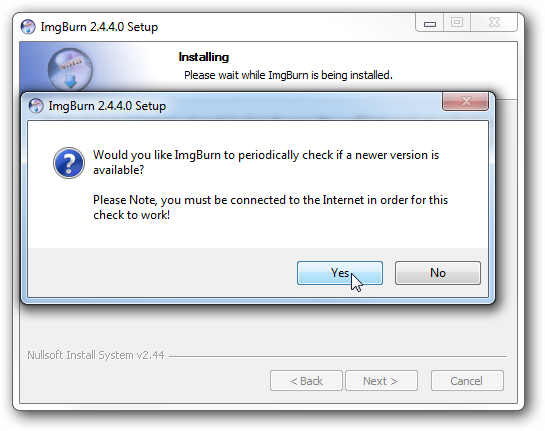 When ImgBurn first starts up you are shown the main menu and the log file window. 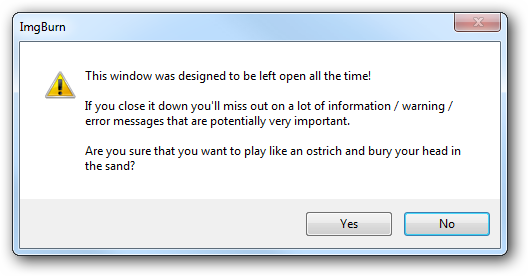 If you want to close the log file menu you’ll get a humorous warning message. The log files do come in very handy and you can open them at a later time as well. 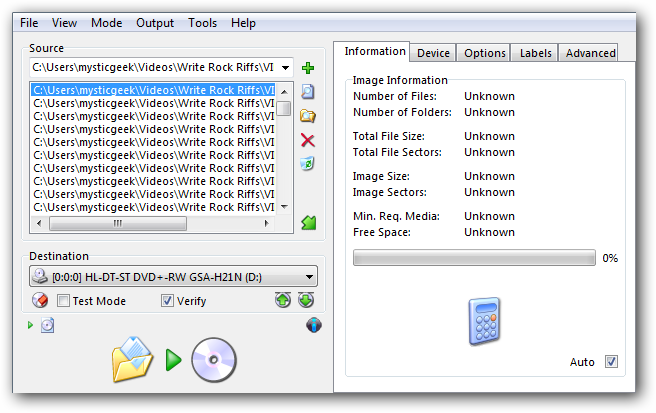 There are plenty of options for burning music, data, or video to disk or creating an ISO file from a disk. It allows you to burn to CDs, DVDs, HD DVD, and Blu-ray. 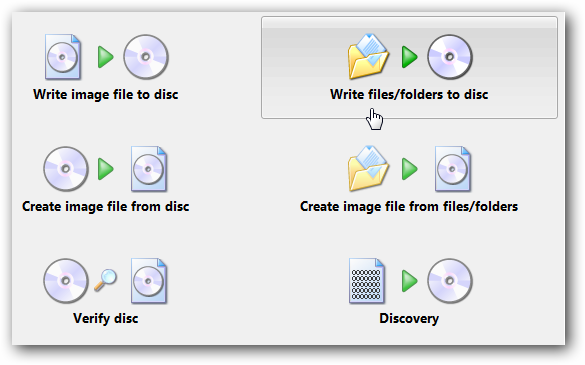 When burning a disc you can choose files or entire folders (handy for DVD). You can run a test mode and verify disk data when burning. 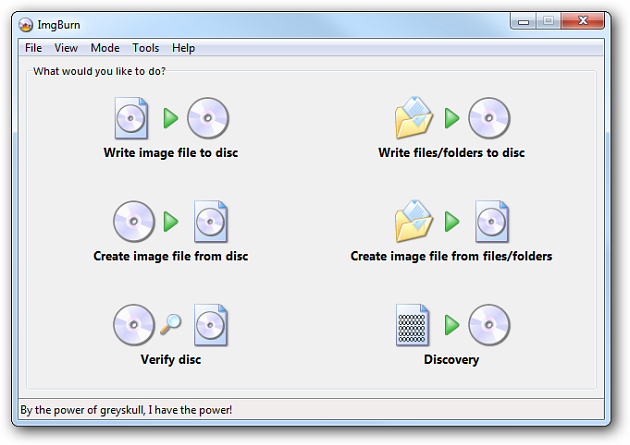 Options abound for controlling every aspect of burning disks, creating images, or verifying disk data. Watch the progress and log files while the burning or image creation takes place incase any problems or errors arise. If you need to burn a certain data file format to optical disc ImgBurn can probably do it. 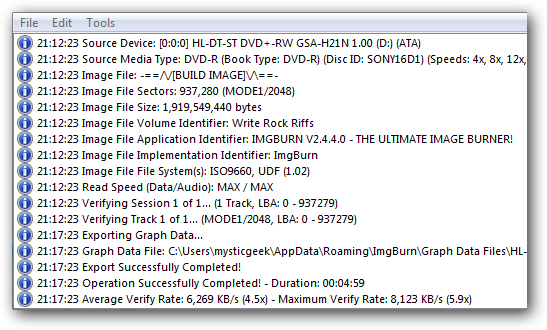 You might also what to check out The Geek’s article on creating a Vista recovery disk using ImgBurn. This is a great free burning tool to add to your arsenal and may well become your go to app for burning.